Who would have thought? It turns out Gough Whitlam and Malcolm Fraser were racists. Poor old Gough spent decades in his Western Sydney electorate welcoming new migrants and then in government, creating multiculturalism. Big Mal was much the same, priding himself on a generous intake of refugees, from Indo-Chinese boat people to rural Lebanese Muslims. He died listing multiculturalism as one of his greatest achievements. But that was then, amid the social reform of the 1970s. By the language of today’s Left, obsessed by personal identity, Whitlam and Fraser were a pair of white supremacists. This is a world away from what Whitlam and Fraser intended. They believed in multiculturalism as a nationally unifying policy. The idea was for people to come from different parts of the world but then be integrated into the Australian mainstream. The new arrivals would bring with them their cultural practices but also embrace the Australian values of free speech, democracy, the fair go (aka meritocracy) and our uniquely laconic, larrikin lifestyle. In return, homegrown Aussies would pick and choose the bits of other cultures that we liked. Whitlam and Fraser, in effect, had a vision for a blended society in which people from different ethnic backgrounds would mix together and get to know each other, speaking the national language of English. They wouldn’t live apart in ethnic enclaves, separated by geographic and language barriers. No street or suburb would have a dominant ethnic group or religion. Looking down the street, Aussies would live next door to Europeans, Asians, South Americans, more Aussies and then others from around the world. Yet today, if anyone raises the problem of ethnic enclaves, of racial and religious separatism in our suburbs, they are denounced as racists. This is the new language of the Identity Left. To suggest that certain ethnic groups are not doing enough to learn English is to be labelled a fascist. To talk about social integration and the achievements of Western civilisation is to be pounced upon by Twitter, to be branded an apologist for colonialism and genocide. How do we know this? Look at the fate of Andrew Bolt. How can multiculturalism succeed, building trust and harmony between people if they can’t communicate with each other? We live in strange times. It’s a measure of the Left’s extremism that when it comes to national cohesion, Bolt more accurately reflects the Whitlam/Fraser legacy than the feral mob abusing him. And haven’t they howled. The erratic Malcolm Cate McGregor, once Bolt’s friend, called him ‘a limited parochial bore with a middling intellect’ and ‘a heart of stone’. Pedestrian TV branded him a ‘convicted racist’. The ABC’s Paul Barry said he was ‘granting permission for racism’, while Quentin Dempster called him a ‘racist provocateur’. ABC luvvie Michael Pascoe, denounced Bolt’s column as ‘a racist performance’. None addressed the substance of what he said. It was like a scene from The Brady Bunch, as Jan complained of everything being ‘Marcia, Marcia, Marcia’. For today’s Left, any mention of migrants has them chanting ‘Racist, Racist, Racist’. In using language of this kind, they have diminished the meaning of their own words. There is nothing racist in wanting lower immigration numbers or holding multiculturalism to account. In the 1980s I listened to Margaret Whitlam, Gough’s wife, express her concern about the way in which their old suburb of Cabramatta had become an ethnic enclave. She wasn’t a white supremacist. She was a true believer in a blended society, in genuine multiculturalism. She didn’t want new arrivals to be isolating themselves, living a life no different to the countries from where they had come. She wanted them to be a fully integrated, flourishing part of Australia. The Left spends a lot of time lecturing people about the benefits of diversity. But apparently this doesn’t apply to places like Lakemba and Cabramatta, which have become near-monocultural. This is the problem with political elites who know little of life beyond their gentrified, inner-city boroughs. 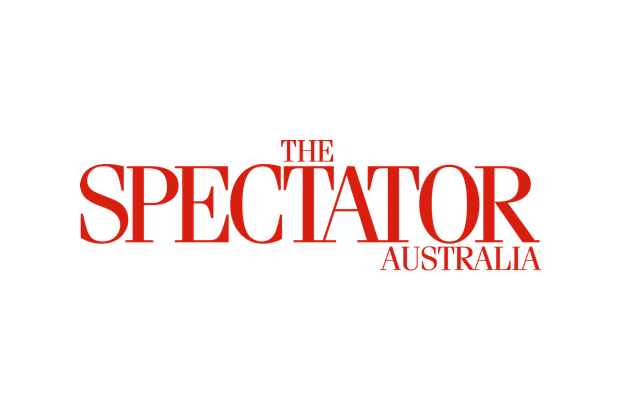 They have become highly skilled in abusing the likes of Andrew Bolt, while neglecting the foundations of their own policy model: multiculturalism and what it’s actually supposed to mean for Australia.